When we think of states that “take care of their own” and step forward for the underserved, many of us gravitate to the coasts. Well, think again when it comes to Massachusetts. Its care and service to its rapidly growing Latinx population, according an article recently published in the Boston Globe, is the worst in the nation. The well-researched article points out that the Latinx population of Massachusetts fares worse than those of other states on multiple counts. The median income for [Latinx] households statewide is just $39,742 a year, while white households bring in $82,029—the largest gap in the country, US Census data show. Only a quarter of [Latinx] heads of household own their own homes in the state, compared to 69 percent of whites—the largest divide nationwide. Language barriers and immigration status play a major role in the inequity—here and across the country—making it difficult for [Latinx] to progress beyond low-wage jobs or speak up about unfair treatment. But there are added challenges in Massachusetts, including such structural factors as the state’s high cost of living and the fact that a majority of jobs require college education, along with long waiting lists for English classes and a 15-year-old law—effectively overturned a few months ago—that eliminated bilingual education from most public schools. There are also relatively few [Latinx] leaders and nonprofits, leading to low levels of civic engagement. Puerto Ricans, the largest group of [Latinx] in the state, struggle more than most, with fewer of them working or in school than among other [Latinx] sub-populations. While Latinx make up the majority of Boston’s population growth over the last twenty-plus years, according to a report by the Boston Foundation, and now constitute 20 percent of the city’s population, Latinx often feel invisible. Neither has the education system responded to the needs of this population. Forty-two percent of public school students in Boston are Latinx, with at least one-third considered “English language learners,” but only a few schools offer dual-language programs. A bill signed by the governor in November allows school districts to teach students in their native language while they learn English, but it leaves it up to each district, and they can choose to remain English-only, leaving Latinx families with limited options. Those options become even more limited by where these families live. Most Latinx immigrants in Boston and other parts of Massachusetts live in low-income areas where the schools are low-performing, and their children will have limited access to challenging classes and the kind of guidance that will help them access scholarships and get into higher education—almost a necessity in finding better jobs in Massachusetts. 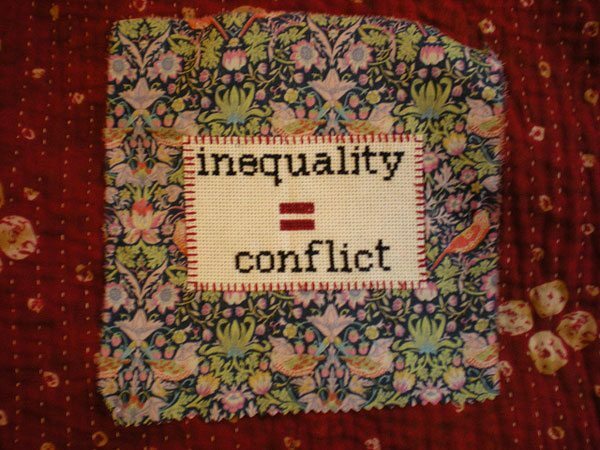 Where is the nonprofit community in addressing this inequity? According to the Boston Globe, many Latinx advocacy organizations are relatively new, which, added to language and racial barriers, has made it harder for the Latinx community to make its political voice felt. It can take up to two years to get into a state-run English class with more than 16,000 people on the wait list. And few others are offered. Can worker co-ops be franchised in Latinx immigrant communities? In New York City, a nonprofit with a strong co-op development track record is giving it a try. Focusing on cleaning and childcare, the co-ops developed are providing a living wage alternative to what are often exploitative low-wage industries.